Totally private setting. Private pool on upper garden level. 3 bedrooms. 2 bathrooms. Totally private setting. Private pool on upper garden level. 3 bedrooms. 2 bathrooms. 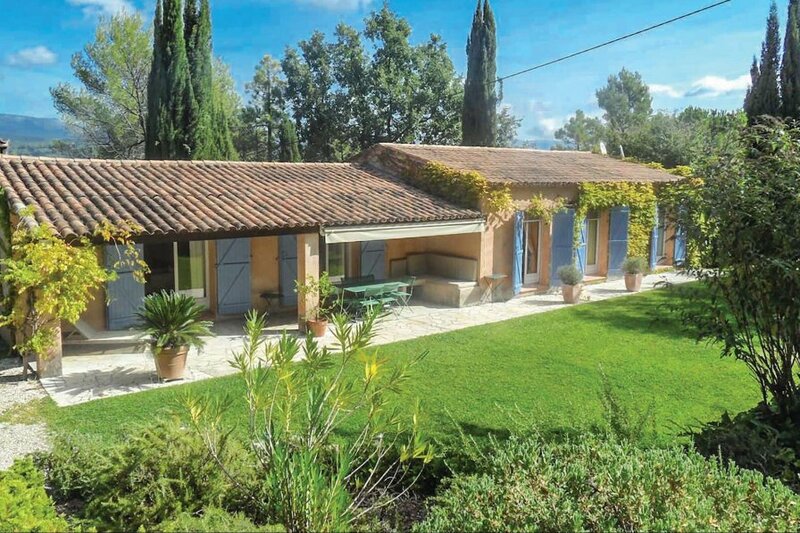 Set in an elevated position and with total privacy - this delightful villa enjoys panoramic views across the valley to the villages of Fayence, Callian and Montauroux with the mountains behind. A rare and lovely view. Nirvana is set in grounds of 2500 Sqm with rock gardens, beautiful flowers and Mediterranean plants and a level grassed area for children to play. The villa has two terraces, one facing north and west with the views and also evening sun. The other is at the back of the villa and overlooks the gardens and up to the pool. The pool area is on a high level than the villa where the views are even more magnificent. The villa is spacious and each bedroom leads out onto the garden terrace. The living area opens onto both sides of the villa with the decoration is bright, clean and cheerful. A very nice villa in a great location. This villa was originally built in 1995 and refurbished in 2014. The agent has rated it as a three star property so it is a well-kept villa, equipped with standard furniture. It is also good value for money. This villa has a private pool and is located in Tourrettes. It is set in a good location: there is a restaurant 3km away.